Secluded cul-de-sac lot in the gated crown ranch community. Magnificent corona estate features fine craftsmanship, tasteful fixtures and finishes with spanish-style stone and stucco architecture. Approx. 5401 sq. Ft. Top of the line material which includes 5 bedrooms and 5. 5 bathrooms. Spacious master suite has balcony, retreat with fireplace, plus a walk-in closet, two vanities, huge shower and deep tub. Guest bedrooms have walk-in closets and en suite baths. Foyer with curving staircase; formal living room with fireplace and beamed ceiling; french doors in the dining room open to dining patio with fireplace. Huge family room with wine storage room, entertainment center, 2nd staircase, and view of the pool and spa; french doors open to shady terrace. Chef’s kitchen features limestone floors, custom cabinetry, granite counters and huge center island; double ovens, built-in refrigerator, and 5-burner gas cooktop with custom range hood; butler’s / walk-in pantry, and breakfast nook. Home office/5th bedroom, huge loft/bonus room, study alcove, full-size laundry room. Stone and hardwood floors throughout. Venetian walls & ceilings. Gorgeous pool and spa, 2-level pool deck, large poolside pavilion with bar seating, kitchen area, fireplace, and bbq. Approx. 3/4-acre estate includes park-like grounds, front courtyard, a fountain, raised stone planters, mature landscaping, and a long stone driveway. 4-car garage. Excellent opportunity to acquire lots (4-6) of tract map #33505, 2. 95 acres of prime real estate located in the prestigious crown ranch community; some of the only few remaining buildable home sites in the neighborhood. Crown ranch is a premier neighborhood located in the city of corona boasting a peaceful opulent gated community occupied by affluent luxury estate homes. 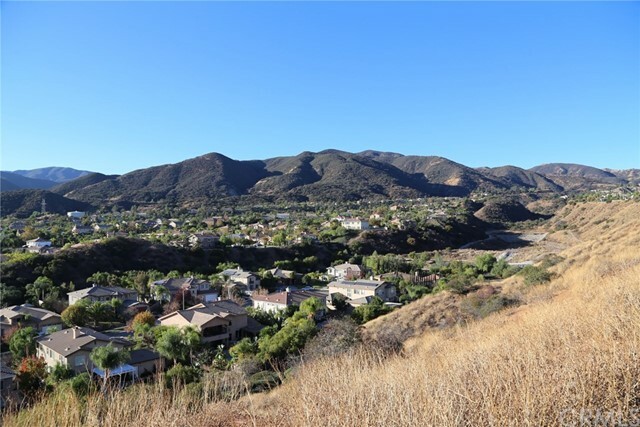 This highly sought after gated community is located at the foothills of the cleveland national forest which encompasses 460,000 acres, mostly of chaparral, with a few riparian areas and is welcomed with a warm dry mediterranean climate. Some of the unique features and valuable benefits this property offers includes: subdivided home sites offering 3 parcels up to an acre in size each, lots 4-6; addresses are: 4182;4186 & 4196 jameson dr. ( apn# 116290085; 116290086; 116290087) surrounded by luxury estate homes; curb, gutters and street access; utilities at property curb frontage; zoned r1 with approved the for a main home as well a auxiliary dwelling unit. Seller will entertain all reasonable offers and may consider a partial joint venture or seller carry back. Excellent opportunity to acquire lots (1-3) of tract map #33505, 2. 81 acres of prime real estate located in the prestigious crown ranch community; some of the only few remaining buildable home sites in the neighborhood. 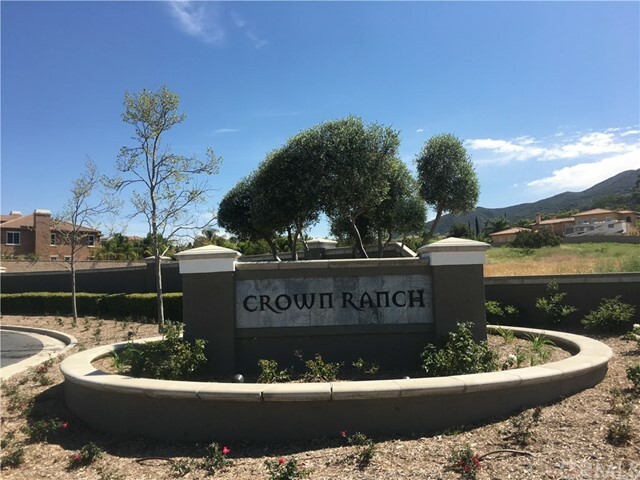 Crown ranch is a premier neighborhood located in the city of corona boasting a peaceful opulent gated community occupied by affluent luxury estate homes. This highly sought after gated community is located at the foothills of the cleveland national forest which encompasses 460,000 acres, mostly of chaparral, with a few riparian areas and is welcomed with a warm dry mediterranean climate. Some of the unique features and valuable benefits this property offers includes: subdivided home sites offering 3 parcels up to nearly an acre in size each, lots 1-3; addresses are 4162;4164 & 4172 jameson dr. ( apn# 116290082; 116290083; 116290084) surrounded by luxury estate homes; curb, gutters and street access; utilities at property curb frontage; zoned r1 with approved for auxiliary dwelling units. Seller will entertain all reasonable offers and may consider a partial joint venture or seller carry back. Gorgeous view home located in highly desirable south corona. 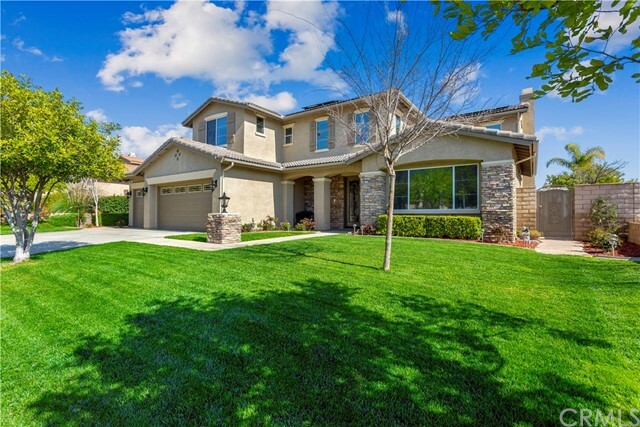 Situated in the prestigious chase ranch neighborhood, this one-of-a kind home boasts over 4,000 sqft of functional living space, 5 bedrooms, 5 bathrooms plus office/library and an oversized 13,939 sqft lot. 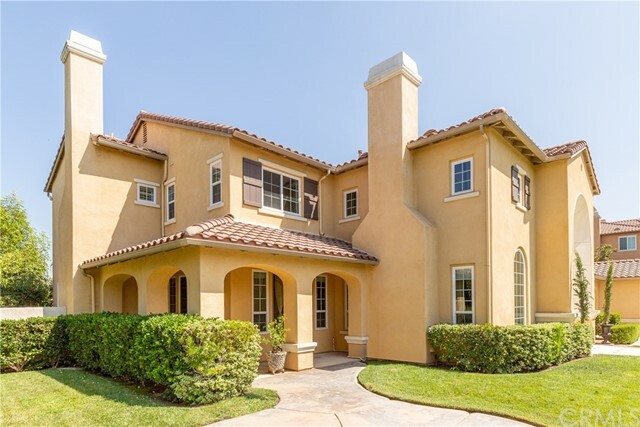 Main level features dramatic double door entry, custom dual fireplace between living room and family room, formal dining room, storage room and downstairs mother-in-law suite with french doors leading to the beautiful backyard. Gourmet kitchen offers granite counter tops, two walk-in pantries and large center island with sink. Upstairs has library/office with upgraded built-ins, three additional secondary bedrooms and large master suite where breathtaking city light and mountain views can be enjoyed from the enormous sun deck. Spa-like master bathroom with dual sinks, jacuzzi soaking tub and upgraded stone tile. Family and friends will enjoy the resort inspired backyard complete with custom rock beach entry pool & spa with pebble tech bottom. Outdoor kitchen island includes high-end separate bbq’s for meat and fish, putting green & gated rv parking. Entertain under the large patio cover complete with ceiling fan and speakers. Additional features include crown moulding, central vacuum system, block walls, 3 car garage, plantation shutters throughout and low hoa. This south corona, chase ranch neighborhood beauty, is ready to be your home! This home offers 3819 sq ft of living space. Consists of 6 bedrooms (with one bedroom downstairs) and 4 bathrooms (1 full bath downstairs). Beautiful entry way with stone and tile throughout the first floor of the home. The first floor also offers an office or extra bedroom with beautiful partial double glass doors. Separate formal dining room, open family room and large kitchen with center island to enjoy family days and nights. Beautiful view from the mediterranean inspired courtyard overlooking the cleveland national forest and city lights view while you enjoy your infinity like pool and jacuzzi. A 4 car garage is ready for use and not to mention the rv parking area for your vacation vehicles and toys. Prime corona land available for future development! This spectacular location, just shy of 6 acres, is right between two of corona’s most prestigious neighborhoods- chase ranch and eagle glen. So much value in the gorgeous 360 degree views of some of the area’s most beautiful mountain ranges. Progress has already been made towards development of this property. Possible options may include but are not limited to: development into 9 semi-custom estate homes (a tentative tract map was submitted in 2007), development into more than 9 lots (project on the other side of the street was just approved with 9,600 sq ft lots), or development into 3 large custom estate lots. The property also has access to and can be connected to all public utilities. The site is within the best school boundaries in corona and minutes from plenty of shopping, golf, farmers markets, and day spa. You can’t beat the fact that it is conveniently located off masters and less than 1 mile from the 15 freeway. Property for sale are the following adjacent lots: 116-090-008 1. 41 acres, 272-220-009 2. 57 acres, and 279-220-006 1. 88 acres-being sold together as a combined 5. 86 acres. See listing agent for more details. 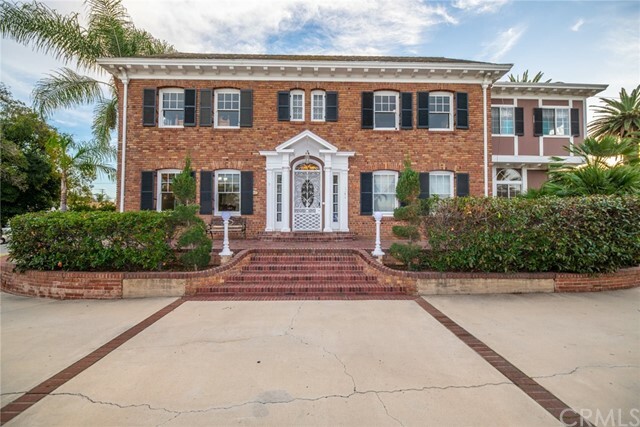 Welcome home to historical kelley ranch home in the heart of beautiful downtown corona!! Fantastic red brick colonial home! This wonderful craftsman era home was built in 1928 unique charm and character. This home has a welcoming front of the house, warm hardwood floors, impressive open beams, pillars and handcrafted details throughout, you won't want to miss this one. With 4 large bedrooms, formal living, dining, den, breakfast nook, loft or game room and kitchen. This home has two ac unties, a lot windows. This home has 4 car garage. The side of the home has a nice porch to set enjoy your coffee. That’s not all this home has nice gated pool, with patio and room by the pool, huge backyard, 26,136 sq feet lot. A lot of parking. This rambling california ranch style horse property, pool and panoramic view home sits on a gigantic “all use able” 91,000+ sq. Ft. Hilltop lot. Custom built one story 3,400 sq. Ft. Home features three bedrooms, 2 baths, including a large master bedroom with ensuite and a vast closet, plus an office, an indoor laundry room and an attached 3 car garage. Smooth flowing floor plan into living room /great room:(approximately 1,200 sq,feet), area off the kitchen, plus a formal dining room and an additional step down living room. The great room has open beam ceilings, a stone fireplace, pool table (included), and a fancy oak bar. Kitchen with view, granite counter tops and a sweet breakfast bar. Zoned for horses, granny flat, r/v parking and more. Five minutes from the i 15 freeway, and about 30 minutes from orange county by way of the 241 toll road. Horse property features include: 5 horse pens, 1 round pen, a comet wash rack. Property would be perfect for a contractor that needs extra storage.